For anyone who’s attempted making a Brussels sprouts salad at home—then you know that it’s a tedious task, chopping all those little green sprouts with a mandolin or knife. 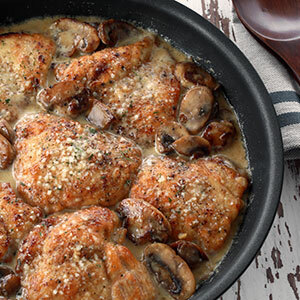 Skip the heavy lifting and toss those babies in the food processor! Voila! Once you’ve sufficiently pulsed your Brussels sprouts, whisking the dressing together is a breeze. Olive oil, lemon juice and a sprinkle of seasonings are all you need to lightly coat your salad ingredients. 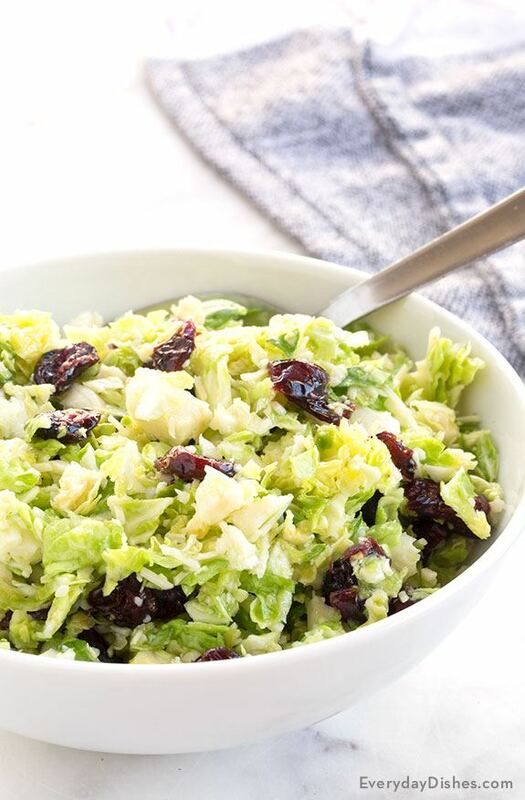 Combine sprouts and freshly made dressing with dried cranberries and Parmesan cheese—then, finito! Because this dish is so easy to throw together, it’s a perfect side dish for a summer gathering. This salad recipe is tasty with beef, poultry and fish. Sprinkle with salt and pepper to taste, then enjoy! Cut stems from Brussels sprouts then remove discolored outer leaves. Chop into very small pieces by pulsing in the food processor or slice finely with a sharp knife. In a medium mixing bowl, whisk together olive oil, lime juice, sugar, water and salt. Add the sliced Brussels sprouts then toss to coat completely in the dressing. Add the cranberries and Parmesan cheese then gently stir to distribute ingredients evenly through the salad. Serve immediately. This salad is the biggest hit, even for Brussels sprout skeptics. Trust me on this one! I’d love for you to share your story of how this salad won over the heart and tummy of the most ardent of naysayers.